What is it about the allure of tractors? They seem to be the archetypal symbol of development and progress. Everyone needs one. But are they worth it? Tractors can plough fields, pull equipment and even be used to drive around time. But they are expensive, difficult to maintain and not much use on small plots where they often do substantial damage through compacting soil. Tractors of course are also a symbol of power. And I am not talking of their horsepower ratings. They show status, prestige and access to the places that matter. In the mad-cap mechanisation scheme of the mid-2000s organised by the Reserve Bank of Zimbabwe, they were handed out to all and sundry. With hyperinflation raging, the ‘loans’ could be paid off for as little as US$20. Every chef worth their salt got a shiny new red Chinese tractor. Hundreds of tractors were distributed, representing a considerable amount of generous Chinese loan money. Were these funds really helping to keep the country afloat during a time of austerity due to sanctions? In the 1980s tractors were all the rage too. A symbol of modernity they could not be missed from the standard development package. A new, modern Zimbabwe had to have agriculture which was mechanised; the ox plough was from the old era when Africans did not have access to resources and the opportunity to practise modern agriculture like whites did. Joseph Rusike did an important piece of research back then showing how in most circumstances in the communal areas tractor use through individual ownership was far from economic. The tractor hire schemes run through the District Development Fund served some with the cash, and were especially useful in times of drought when cattle were too weak to pull ploughs. And as cattle numbers were hit by drought mortalities in the early 1990s, tractors again became useful as herd numbers were not sufficient to form spans. At a similar time, Rusike’s work was backed up by a major historical survey by then World Bank economist Hans Binswanger. And now again there is more talk of tractors. This time from the Brazilians, who are offering nearly US$100m worth of farm machinery as part of a solidarity deal with the Zimbabwean government, channelled through the ‘family farming’ and agrarian reform ministry, the MDA. This is supposed to assist in particular the land reform programme, increasing efficiency and reducing the underutilisation of land through the expansion of cropped areas. The Chinese too are showing off their tractors, and in particular the industrial machines produced by Minoble, the company that runs the new Chinese Agricultural Demonstration Centre at Gwebi College near Harare. There is also apparently a John Deare representative based at the Centre, apparently posted to Zimbabwe from China. Even the Iranians are offering tractor aid too. A large plant, jointly run and built by the Iranian government was being mooted recently. The Brazilian tractors have not arrived yet, and the Chinese ones remain in the courtyard at Gwebi. Representatives from both country’s agencies genuinely believe that tractors will make a difference to Zimbabwe’s agriculture. After a few news reports, the Iranian initiative has not been much mentioned. So it is not clear what will happen next. Will Zimbabwe be flooded with tractors, of different makes with different spare parts and repair needs? Will this really help Zimbabwe’s agricultural revitalisation? Or will it be another source of patronage, with tractors blessing people’s homesteads as shining, then decaying, examples of misspent development money. Of course agricultural mechanisation helped transform the large-scale farms of northeast China, and Brazil has pushed agricultural mechanisation to a new peak in the mega farms of the Brazilian cerrado. 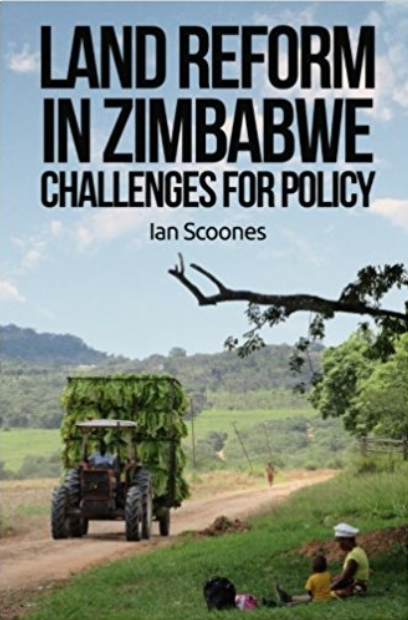 But these are very different contexts to Zimbabwean agriculture. Arable area sizes today range from an average of 2-5ha in the communal areas to 10-15ha in the A1 schemes to 70ha and above in the A2 farms (although in many instances only a small fraction is cultivated. Shared tractor arrangements may make sense for A2 schemes, allowing farmers to increase cultivated areas. However it is probably not tillage that is constraining this expansion, but more credit and finance for increasing production. The RBZ programme in the 2000s was a disaster and was simply an exercise in profligate patronage. But other schemes have failed too. But rather than shun the generosity of the Brazilians, Iranians and Chinese – and no doubt in the future many other donors wanting their farm machinery manufacturers to benefit from aid and investment programmes – it will be important to assess mechanisation needs and the institutional design of such programmes, taking account of the very particular political economy of tractors in Africa. A good starting point for those in the Ministry – currently called the Ministry of Agriculture, Mechanisation and Irrigation Development – would be to re-read Joe Rusike’s and Hans Binswanger’s papers from the 1980s.